The Helix Theatre is located in the grounds of Dublin City University in North County Dublin. The Helix is a special venue which can seat up to 1200 people and has hosted some of Ireland’s biggest live television shows such as ‘The Voice’, musical theatre productions including West Side Story, Annie and Grease, top musical acts such as Nathan Carter, Van Morrison and Sinead O’ Conner have also played and even hosts a Christmas pantomime which never fails to sell out. 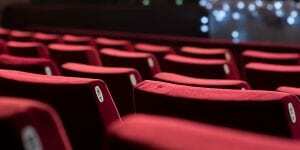 Looking for hotels near Helix Theatre? The Helix Theatre is only 10 minutes from four-star Clayton Hotel Dublin Airport. Book a night’s stay, family package or treat your loved one to dinner, bed and breakfast and enjoy a delicious meal in the restaurant and a luxurious night away. Why not book a taxi and relax in the Playwright Bar for a pre- or post theatre cocktail.